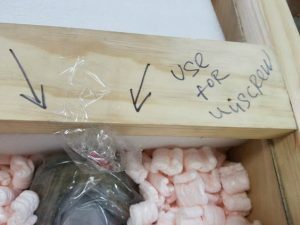 Shipping fine art and antiques of exceptional value is never easy, no matter whether it comes to shipping a painting or museum-quality porcelain. However, due to a whole range of special requirements, oversized shipping is even more complex. 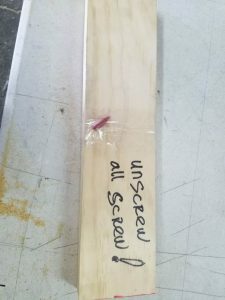 This is especially true for large and heavy antique sculptures that are additionally very fragile. The good news is that Fine Art Shippers is highly experienced in oversized shipping and can handle any packing and moving task quickly and professionally. This allows us to work with many famous galleries and auction houses from around the United States and beyond. 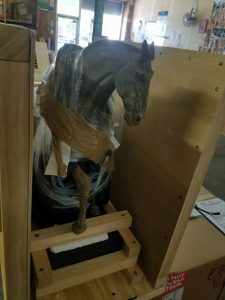 For example, not so long ago, Fine Art Shippers was entrusted to ship an antique terracotta horse dating to the Tang dynasty (7th century), which was purchased through iGavel Auctions. It should be noted that Fine Art Shippers has long been working with this reputable auction house headquartered in New Braunfels, TX, and it is always an honor for our team to handle art and antiques they sell, even when it comes to oversized shipping. 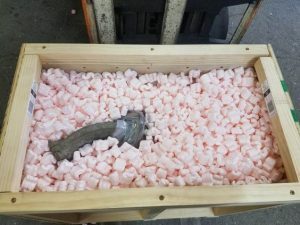 This time, the task was especially challenging as this large and valuable antique terracotta horse was very fragile and required literally precise surgical packaging. 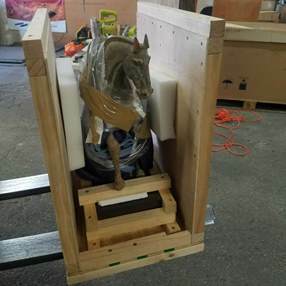 Plus, our experienced crate makers built a superb wooden crate specifically for this unique sculpture to protect it from all sides during the transportation process. 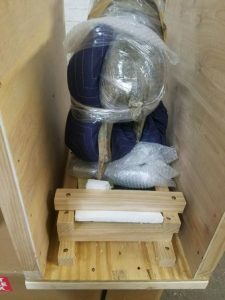 After all, while we cannot foresee how the items will be handled by airlines or other shipping agents, we can ensure that they are properly packed and crated to withstand the rigors of the shipping process. 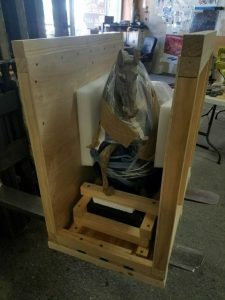 Here are several photos taken during packing and crating the terracotta horse in our warehouse in Brooklyn, NYC. 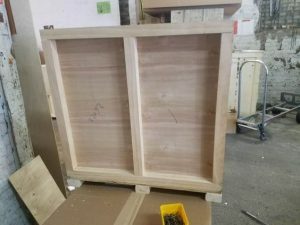 Fine Art Shippers offers all our packing and crating services in-house, using only high-quality materials and professional tools. We have 20+ years of experience and are prepared for oversized shipping of any kind. So whether you need to ship antique furniture, large sculptures, home appliances, or even heavy equipment, we can guarantee that all your possessions are ready for the long-distance transportation. Besides, you can request a free quote at any time and verify that our packing and shipping services are very reasonably priced. We value our clients and always do our best to ensure they have the best shipping experience ever. Please do not hesitate to contact Fine Art Shippers if you have any questions regarding oversized shipping, packing antiques, or any other services we offer!